A fracture, or break in a bone happens when the force applied to a bone is stronger than the bone can withstand. This generally happens in a fall or something striking the bone. The most common bones that are broken are the wrist, ankle, and hip. 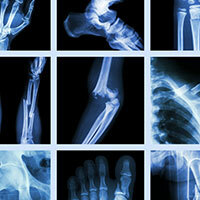 When it comes to broken bones, there are many different kinds and many different medical terms used to describe them. The type of break will be determined by viewing the x-ray images of the bone. 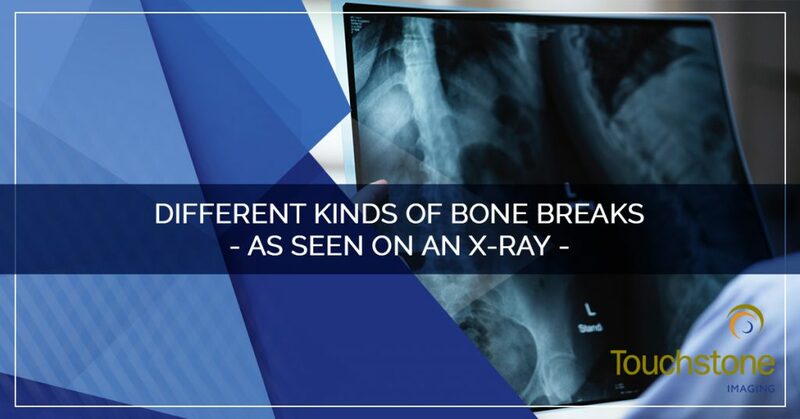 Here, we will discuss the different kinds of breaks and how your radiologist can distinguish between them on your x-ray images. 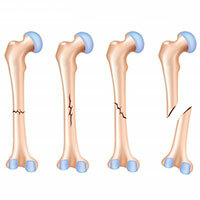 The first term used to describe a fracture refers to the type of wound the break causes and not the break itself. Breaks are referred to as either simple(closed) or compound(open). 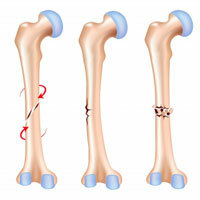 Simple, or closed, fractures are those that do not break the skin. They can cause deformities in the limb such as curves or bends where it should be straight or bulging at the break site. A compound, or open, fractures are those that break through the skin where the bone protrudes. Both types of breaks can cause significant pain and bleeding, however, the bleeding caused by a simple fracture may not be as easy to see. An avulsion fracture happens when a muscle or ligament pulls on the bone so tightly that it fractures the bone. These are more common in the shoulder, hip, elbow, and knee. Although most avulsion fractures can be seen on x-ray, an MRI or CT may be required for accurate diagnosis. A comminuted fracture is when a bone is shattered into several pieces. This is common in the small bones in the hand and foot but can occur in any bone. Your radiologist sees this in the x-ray images as several bits of bone clustered together. Compression (crush) fractures generally occur in the spine when part of the vertebra collapses due to pressure. A common form of compression fracture occurs when a portion of a vertebra in the spine may collapse due to osteoporosis. An x-ray will show the alignment and curve of the spine as well as the structure and distance between the vertebra. However, an MRI or CT scan may be ordered to see more detail in the tissues and structures. A greenstick fracture, also called a partial fracture, occurs when the bone partly fractures on one side, but does not break completely and the other side only bends. This is more common in children, whose bones are softer and more elastic. A greenstick fracture can be easily identified on a simple x-ray. Hairline fractures or stress fractures are cracks in the bone that can develop over time. They are more common in the weight-bearing bones of athletes or obese patients. Sometimes this type of fracture is harder to detect with routine x-rays and an MRI may need to be performed. In an impacted fracture, the bone is fractured and one fragment of bone goes into another because of the force of the injury. This type of broken bone is easy to detect on an x-ray. An intra-articular fracture is where the bone break extends into the surface of a joint, resulting in damage to the joint cartilage. These breaks and the resulting damage may be better detected and diagnosed on an MRI or CT scan rather than an x-ray. In a longitudinal fracture, the break is along the length of the bone. These typically happen in long bones but can happen in any bone. Traditional x-ray images are generally enough for a radiologist to diagnose a longitudinal fracture. An oblique fracture is a fracture that occurs diagonally to a bone’s long axis. Oblique fractures are relatively common and are easily spotted on x-ray images. Pathological fractures, also called insufficiency fractures, occur when an underlying disease or condition weakens the bone, resulting in a fracture. Depending on the severity of the break, it may be seen on x-ray, but an MRI or CT may need to be done to get the full picture. Spiral fracture, also known as torsion fracture, are fractures where the bone is broken by a twisting force — the body is in motion with one extremity planted. This can be viewed by your doctor on a regular x-ray. Transverse fractures are a straight break right across a bone. Most of these are compound, or open-wound, fractures. These breaks are easily identified on x-ray images. Not all bone breaks will be obvious or cause deformity of the limb. 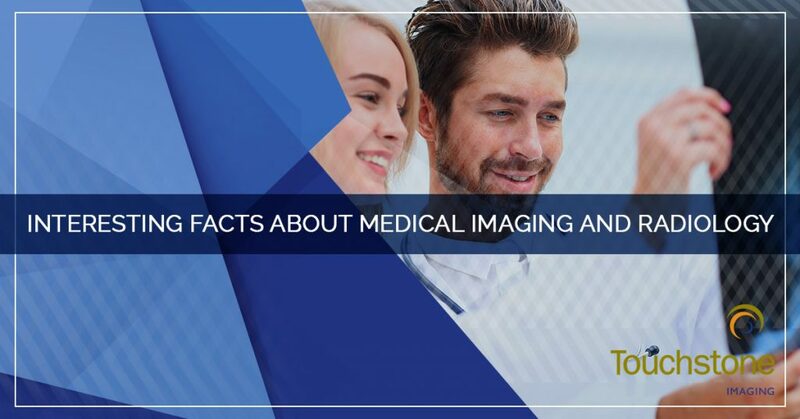 Any cause or type of break will require some form of medical imaging to view the bone as it appears on the inside of the body. This will give your doctor an idea of how to treat it to improve the outcome. 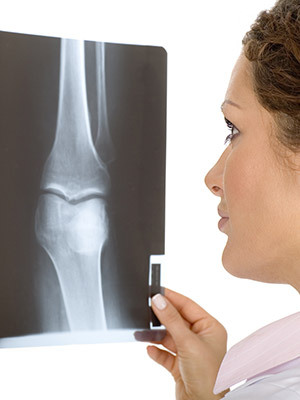 Generally, an x-ray is the ideal medical imaging used to view bones and bone breaks. X-rays easily capture images of dense structures, such as bone. However, sometimes the break can be small or disguised so that an x-ray does not provide the best picture. 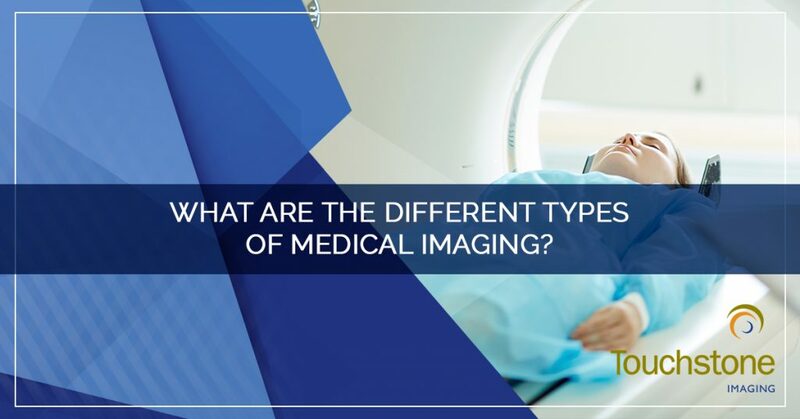 An MRI or a CT scan offers cross-sectional views of the body that allow visualization of dense structures as well as soft tissue. 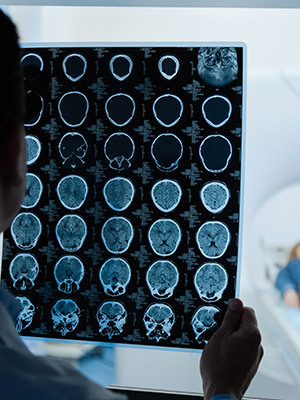 If your doctor orders you to get any form of medical imaging, including x-ray, MRI, or CT scan, the imaging experts at Touchstone Imaging are prepared to take care of you. 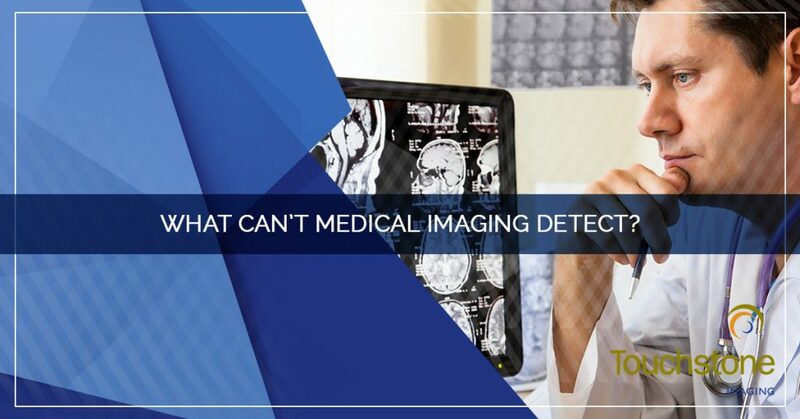 Avoid the crowded hospital radiology department full of busy x-ray technicians who don’t have time to complete your diagnostic tests with regard to your comfort. 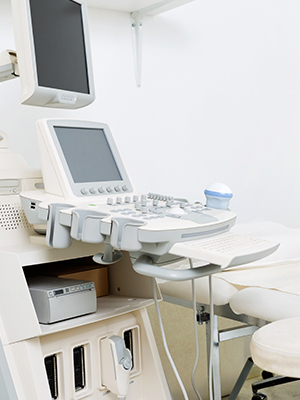 Visit our imaging centers that are big enough to meet your needs and small enough to do so comfortably. Contact us to schedule your appointment today!